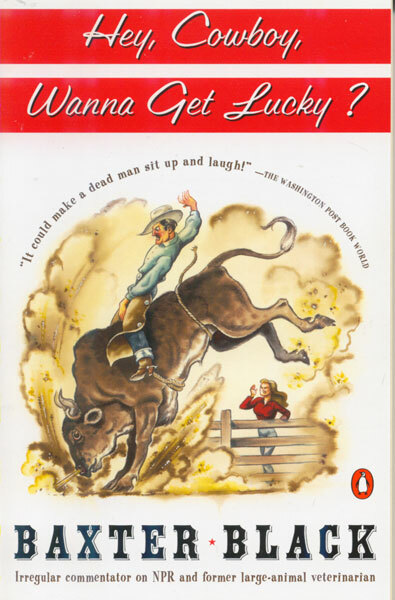 Baxter Black's first novel, this book is a story of two modern-day Cowboys, Lick and Cody, and their quest to make it to the NFR. 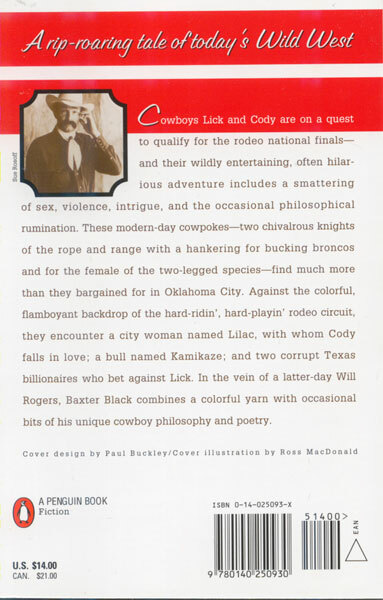 As is frequently the case in that line of life, the adventure is filled with humor, intrigue, and intonations of that philosophy that makes us all tick here in the West. The novel takes you down a wild and untamed trail that contains such far-ranging things as purple dye in bathtubs, a truly unique city girl that Cody falls in love with, two shady Texas billionaires, and strange encounters in small towns all across the West. Those of you who are familiar with Baxter Black's poetry will love his novels, too. They contain the same creative language and crazy happenings that characterize the way of live many of us love and still more envy. Finished with Hey Cowboy, Wanna Get Lucky? When you're done, you might be interested in the sequel, Hey Cowgirl, Need A Ride?